I first encountered four-piece band Sun Scream when they contributed the sparkling lead-off track ‘She’ to renowned compilation ‘This Is The Sound Of Sugar Town, Vol 2’ celebrating the riches of music produced around the Bury St Edmunds area. Now they have released their debut EP, complete with distinctive artwork drawn by band guitarist Emily Wallace. Over this four track collection these psychedelic adventurers create their own collage of depth and subtlety. 1. Extract Sinister introduction soon gives way to some heavy fuzz guitar and a mind-bending lyric about putting a piece of a soul in a hole. This of course fits perfectly with the variant structured sections of the music, eventually loosening into an textured onslaught of lead guitar and bass lines, some synth-type bubbling and a general good-time vibe. 2. Marmalade A short instrumental meander, extreme echoing guitar creating almost a harp-like feel. 3. Samsara ‘…The Sanskrit word samsara means “flowing on” or “passing through”…with the connotation of cyclic, circuitous change’, it is a title which gives a broad canvas to this epic track. Mainly based around a stately descending guitar figure, the mobile bassline and fluid drumming weave around to great effect. This is a proper psychedelic workout, with words of rivers, skies, life and death to add to the heady mix. 4. 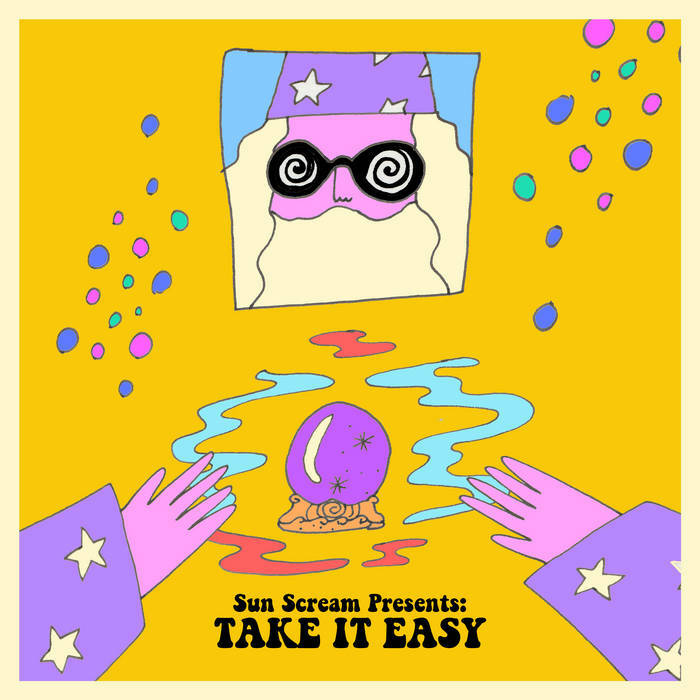 Take It Easy The title track is a brooding delicacy, built around a repeated bassline and counterpoint guitar. The vocal is more forward in the mix for this one and the sparser sound has the required addictive atmosphere of weird menace. This entry was posted in Music and tagged Bury St Edmunds, EP, psychedelic, review, Sun Scream, Take It Easy on May 4, 2018 by iknoweno.